Joining JFS in 2013 as Tax and Accounting Manager, Michelle is responsible for managing individual income tax compliance and business accounting services, developing and implementing tax planning strategies for individuals and businesses and assessing the impact of tax law changes to individuals and businesses. Michelle is a member of the American Institute of Certified Public Accountants (AICPA) and the Ohio Society of Certified Public Accountants (OSCPA). She also serves as a Board Member of Compass Family and Community Services. 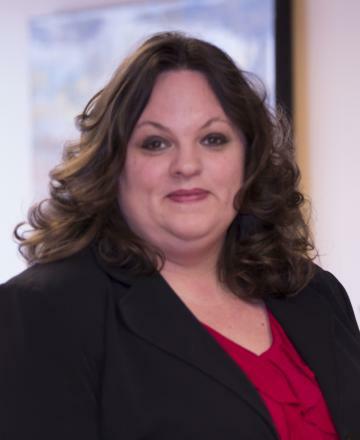 A frequent speaker at Youngstown State University Institute on Taxation, Michelle has over fifteen years of public accounting experience in tax compliance and consulting for individuals and closely-held businesses, researching complex tax issues and managing federal and state tax audits. Michelle earned her Bachelor’s Degree in Accountancy from John Carroll (OH) University in 1997. She earned her Certified Public Accountant license in 1999, her Master’s of Science in Taxation with Distinction from DePaul University in Chicago, IL in 2002 and a Graduate Certificate of State and Local Taxation from the University of Wisconsin – Milwaukee in 2007. Michelle and family reside in Warren, OH. In her spare time, she enjoys reading, gardening and camping.